> Mouse Guards on Hives NOW! 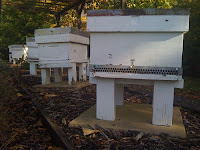 With the beekeeping season at an end and the weather getting colder, now is the time to put your ‘mouse guards’ in place. A mouse guard is a long metal strip with holes big enough for your bees to come and go, but small enough to keep mice out. 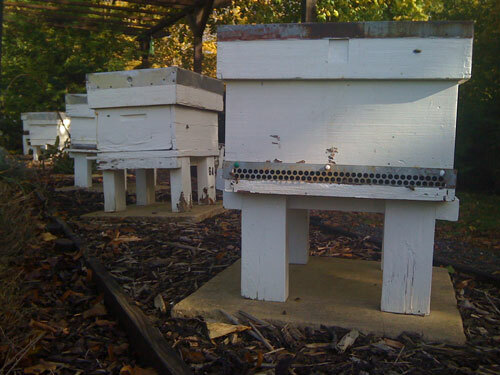 At this time of year your bees will cluster together to keep warm and are less likely to be on the defence. Bees are cold blooded insects that find it hard to move in cold weather. This is the time when mice will decide to venture into your hives to take up residents for the long winter ahead. They will eat through all your wax combs and eat your bees one by one. 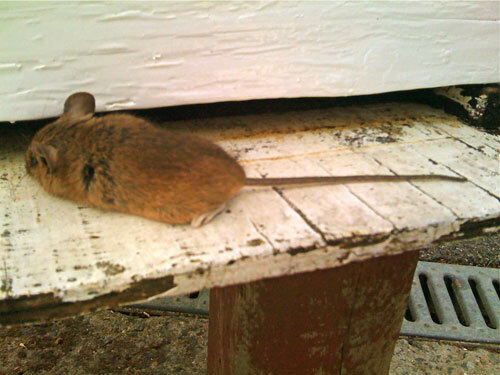 When spring arrives all you will find inside your beehive is a pile of bee wings, wax bits and a fat mouse! Don’t be fooled that you don’t need a mouse guard . I know beekeepers on roof tops that found mice in their hives!